Who Wants an Electric Car? We were recently contacted by Larry Webster, a friend of a friend who is extending an offer to folks in Portland, Oregon, especially those who are excited about the car of the future, the electric vehicle. Larry is the owner of Webster EV near Sacramento, CA, a start-up company breaking into the electric vehicle market by converting Toyota Scions into all electric vehicles, dubbed Webster Electrons. The Electrons have a range of 150 miles on one charge and have better power and acceleration than the original gas powered Scions. 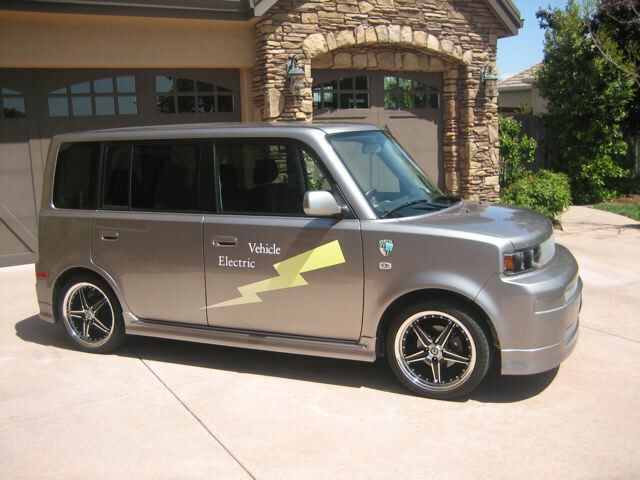 Larry is looking for electric vehicle enthusiasts in the Portland area to participate in their “beta car” program. The person who is selected as a participant will purchase an Electron and, in exchange for becoming a Webster EV advocate, will receive a significant amount of stock in Webster EV. For pricing and more details, please contact Larry at info@websterev.com or visit http://www.websterev.com. To answer your question “Who wants an electric car?”, apparently everyone! Sales of electric cars has never been as good as it is now, and ZAP has an impressive backlog of orders to be fulfilled! Removing the internal combustion engine and replacing it with a DC electric motor is not difficult. The most challenging part in owning an electric vehicle is the actual driving mileage per charge. It they can have access to the electric charging station, it would definately increase it EV practicality. « Who Wants a Green RV?